Please join us! Non-members are welcome to attend! 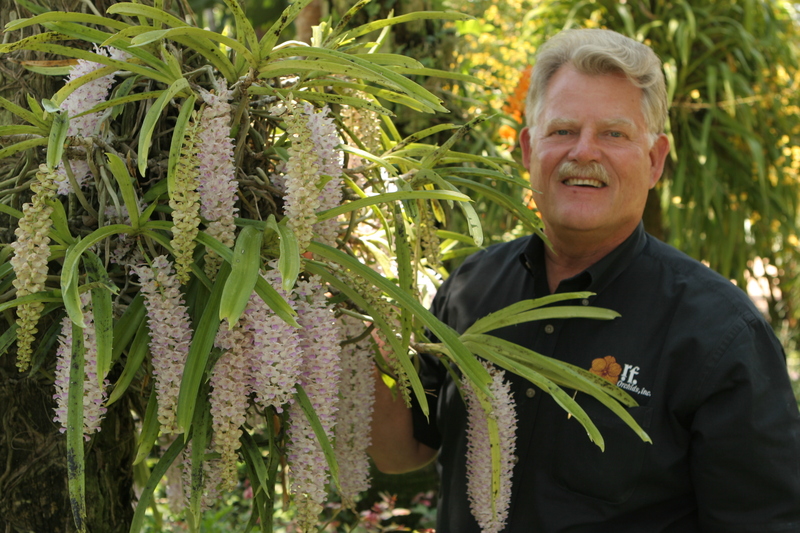 The January 2016 program for Tucson Orchid Society will feature Robert (Bob) Fuchs, owner of RF Orchids in Homestead, Florida. His talk will be on Vandaceous Intergeneric Hybrids from the hobbyist point of view. He will definitely address orchid culture issues. 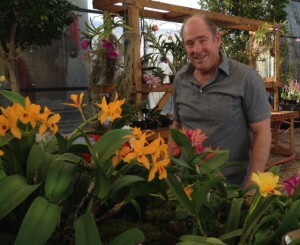 Bob has been working with crosses of Vandas, Cattleyas, and Ascocentrum for a long time. Bring in some of those plants that need attention and lets talk about what might be done to help them. Come and share your experiences – successes and failures. This meeting requires lots of participation in order to work! Our discussion will be moderated by Wes Addison, a long time orchid society member. How many times have you gone into your greenhouse or growing area and looked around and said to yourself – Wow everything is growing great! Then a couple of days later a friend comes by and says what are all those white things on your orchid. Of course you are shocked when you look and realize that what you thought was a wonderfully growing collection turns out to be infected with BUGS and lots of them. How often have you re-potted your orchids checking them out often to see how they are growing and come to the conclusion that the re-potting went really well. Then six months later half of the orchids are dead. What happened? Why did they die? Why did they look better four months earlier? How many times have you looked at your orchids one day and they look fine and the next day some of them are covered in black spots or leaves have fallen off? Why did this happen? Those are some of the questions we will discuss at our next meeting. We as a group will discuss what happened to those plants we re-potted last summer. What went right. What went wrong. And what we might be able to do to correct for the problems that have arisen or to continue on with what have proven to be good re-potting techniques. For those of you who shared your repotting techniques last summer, bring some of those orchids back so we can see the results. For those of us who experienced less than acceptable results don’t bring in the dead orchids or the empty pots but be ready to talk about the failures. Bugs, those nasty little critters, are always a good topic to discuss. I have lots of experience with bugs and in letting them go from the ”oh, there is one” stage to ”what the heck happened” stage. Every year more pesticides come onto the market and techniques for preventative treatment. We will discuss biological, chemical and bacterial treatments of pests. Everyone should have horror stories about bugs so help us out and bring your stories and suggestions. Recently, with my newest fascination is with paphs. I have been discovering and dealing with the fungal and bacterial killers of that genera. I use the word dealing with in the loosest terms since I have harmed more paphs in trying to treat them than I have saved. We all have had those nasty black spots cover the leaves of our broad leaved orchids from time to time or suffered from flower spotting or crown rot along with numerous other forms of root rot. Bring in some of those plants that need attention and lets talk about what might be done to help them. See you at the meeting!